After a battery goes through a series of charge-discharge cycles, its voltage fades and the amount of energy it can hold, and release later for use, also fades. The new research explains why this happens in Lithium-rich NMC cathode materials. In particular, the researchers identified nanoscale defects or dislocations in Lithium-rich NMC cathode materials as the batteries charged at a range of voltages going up to 4.7 volts. "The dislocations are extra atomic layers that don’t fit into the otherwise perfectly periodic crystal structure,” said Andrej Singer, the lead author who performed this work as a postdoctoral researcher at UC San Diego. “Discovering these dislocations was a big surprise: if anything, we expected the extra atomic layers to occur in a completely different orientation,” said Singer, who is now on the faculty at Cornell University. By combining experimental evidence with theory, the research team concluded that the nucleation of this specific type of dislocation results in voltage fade. While the heat treating approach to reversing the defects is labor intensive and not likely to scale, the physics and materials science-based approach to characterizing and then addressing the nano-scale defects offers promise for finding new solutions to the voltage fade problem. “Our paper is mainly about unlocking the mystery of the dislocations that cause voltage fade in Lithium-rich NMCs. 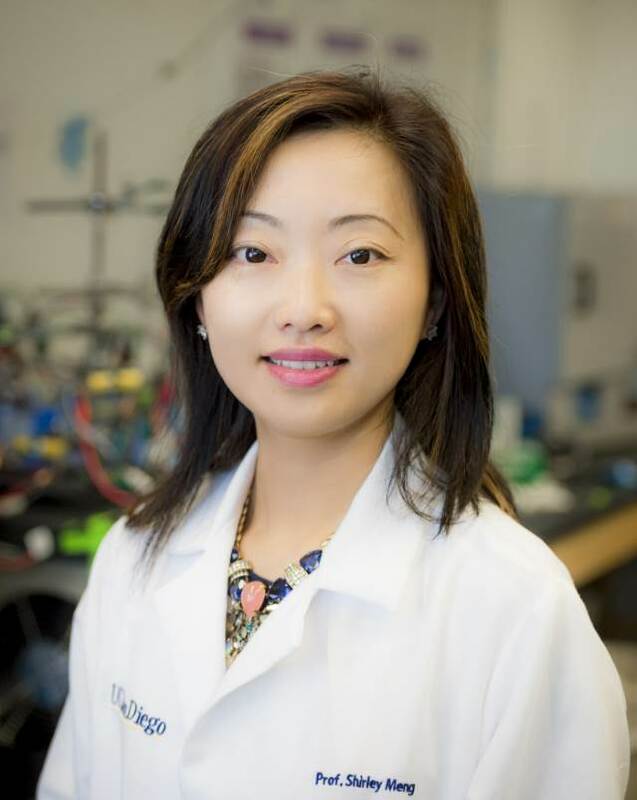 We don’t have a scalable solution yet to solving the voltage fade problem in Lithium-rich NMCs, but we are making progress,” said UC San Diego nanoengineering professor Shirley Meng. She and UC San Diego Physics professor Oleg Shpyrko are the senior authors on the new Nature Energy paper. “One of the most serious problems for lithium-rich NMC cathode materials is voltage fade,” said paper author Minghao Zhang, a recent graduate of the nanoengineering Ph.D. program at UC San Diego Jacobs School of Engineering, where he is now a postdoctoral researcher. Voltage fade reduces the energy density of the battery, which in turn limits the practical applications of these materials despite their high energy density in the initial charge-discharge cycles. “Engineering solutions have to be based on solid science. If you don’t know what’s going on, then your mitigation strategies are less effective. And I think that is what has hindered this material,” said UC San Diego nanoengineering professor Shirley Meng, referring to the long-standing lack of clarity on what is happening at the nano-scale that is causing the voltage fade in these promising cathode materials. Meng, Shpyrko and their respective labs and collaborators are uniquely adept at imaging, characterizing and calculating what is happening to batteries, at the nanoscale, while they are charging. Their combined expertise allows the team to glean unprecedented insights from X-ray imaging data of batteries while they are charging. This collaboration is part of the interdisciplinary work of the UC San Diego Sustainable Power and Energy Center, where Shirley Meng serves as Director, and Oleg Shpyrko serves as Co-Director. Research at the Sustainable Power and Energy Center extends from theoretical research through experiments and materials characterization all the way to real-world testing of devices on the campus microgrid. The in situ Bragg coherent diffractive imaging technique, performed at the Argonne National Lab, allows the researchers to directly image the interior of a nanoparticle during battery charge. The team’s analyses and reconstructions of these data offer unprecedented insights into what is actually happening while batteries are charging. The researchers performed a number of observational studies while battery materials were charging across a range of voltages going from 4 volts up to 4.7 volts. At 4.4 volts, the researchers identified a series of defects including edge, screw and mixed dislocations. “With this publication, we are hoping to open up a new paradigm for materials scientists to rethink how to design and optimize this class of materials for energy storage. It still requires a lot more work and many contributions from the field to finally resolve the problem,” said Meng. She holds the Zable Endowed Chair in Energy Technologies in the UC San Diego Jacobs School of Engineering. The research described in the Nature Energy paper could eventually lead to new cathode materials for solid state batteries. Many researchers, including Meng, consider solid state batteries to be one of the most promising future battery approaches. Lithium-rich NMC cathodes, for example, operate at high voltage and therefore could eventually be paired with solid state electrolytes, which also operate at high voltage. Much of the interest in solid state batteries comes from the fact that solid state electrolytes are believed to be safer than the traditional liquid electrolytes used in Lithium-ion rechargeable batteries. U.S. Department of Energy (DOE), Office of Science, Office of Basic Energy Sciences (DE-SC0001805) (DE-SC0012583); This research used resources of the Advanced Photon Source, a U.S. DOE Office of Science User Facility operated for the DOE Office of Science by Argonne National Laboratory (DE-AC02-06CH11357); Parts of this research were carried out at the light source PETRA III at DESY, a member of the Helmholtz Association (HGF).